Paratus Rentals, #1 source for temporary portable rental chillers, cooling towers, air conditioners, heaters, generators and transformers in over 25 locations with engineered turnkey mechanical installations. Paratus is a full service Rental, Engineering, Fabrication, and Mechanical Construction company concentrating our expertise in Temporary Chillers, Air Conditioners, Heaters NY NJ CT PA NYC with a special emphasis on Turn-Key Installations. Paratus is committed to providing efficient, flexible, cost-effective and on-time Temporary Temperature Solutions to its clients through a full range of world-class rental Temperature Control products, Mechanical Installation and Steel Fabrication. 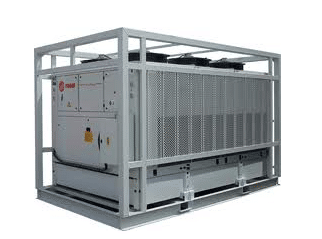 Paratus Management has installed NJ NY CT PA NYC Temporary Chiller Rentals since 1990! Paratus has installed all brands Trane, York, Carrier, McQuay, etc. Paratus is on call 24/7/365 with a “Live Person” answering the phones. Paratus is Centrally located with dispatch from Woodbridge, Freehold and S. Plainfield NJ. Paratus SteelFab is located in Central NJ right off of Rt 287 with Direct Highway Access to NY, CT and PA.
Paratus is the Vendor of choice for Major Chiller HVAC manufacture. 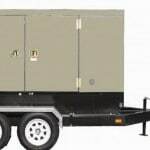 Whether it’s providing mobile rental chillers, rental air-conditioners, rental cooling towers, rental air-handlers or rental generators for an Emergency or to a Temporary job site Paratus can Design, Fabricate and Install a system that produces enough chilled water to cool an entire city block. Paratus Rentals can provide solutions to fulfill all of your energy and temperature needs. We provide complete turnkey installed solutions with planning, engineering, mechanical construction, operation, fueling, and maintenance services. When you have a need Temporary Temperature Control in North America, turn to the only complete solution provider – Paratus. We want to ensure customer satisfaction by providing efficient, reliable, cost effective and on-time Temperature Solutions. We provide complete solutions from initial design concept, feasibility studies, and selection of technology through project management and long-term operation and maintenance agreements. How does Paratus go above and beyond the bigger name rental companies for Temporary Chillers Air Conditioners Heaters NY NJ CT PA NYC? Simple, Paratus provides a more Complete Solution, period! That sounds great but what does that really mean for you the Customer? Paratus Rentals provides Temporary Heaters, Air Conditioners and Chillers NJ NY CT PA NYC and Nation Wide. Paratus Contracting is a Mechanical Construction Company; we offer integral Temperature and Energy Solutions with engineering, construction and project management. Paratus SteelFab has complete Certified Structural and Pipe welding, steel fabrication with a lifting capacity to 100 Tons, a full rail siding and direct access to NYC. When you choose Paratus you are not just choosing a rental company, you are choosing a Turn-Key Temporary Heater and Chiller Rentals Installation Solutions Provider. Paratus has a solution no matter how impossible your installation may seem, we can rig it, crane it, shore it, weld it, and pipe it so your temporary rental chilled water, air conditioning or heating system is back in service quickly. Furthermore, we are owned and operated by a group of individuals who have been in the rental business for over 20 years. We know what you need and we can provide it without hesitation. When looking for a reliable, trustworthy, knowledgeable, personalized and understanding rental company, Paratus Rentals is your one-stop rental company. A Paratus Utility Continuity Plan is a set of customize, pre-planned, procedures that are implemented during an emergency to restore electricity or temperature control to your business infrastructure. A key component of the plan is the pre-selection and reservation of equipment necessary to accomplish this critical task. The Paratus Utility Continuity Plan is offered in two versions, Standard and Priority.